By Orla Stafford | November 26, 2013. 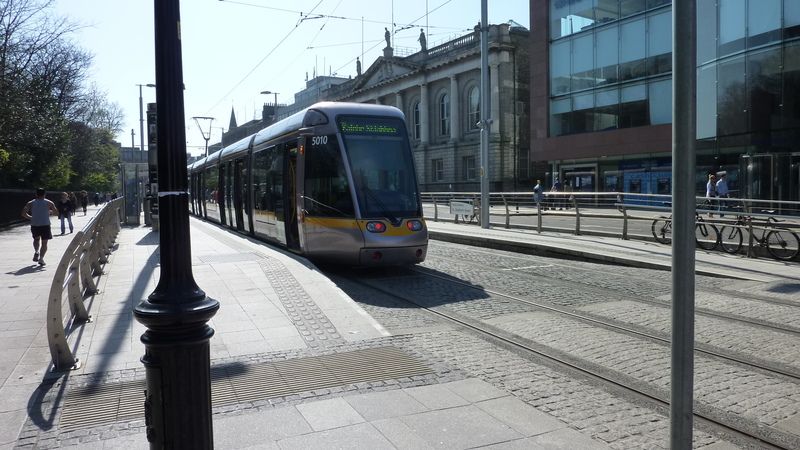 Luas users are in for a treat over the Christmas period with free parking in over 2,000 Luas Park & Ride spaces on Sundays and Bank Holidays for the months of November, December and January. There are five Park & Ride facilities in total, with three on the Green line and two on the Red line. The three Park & Ride spots on the Green line are located at Stillorgan, Beacon South Quarter and Balally, while on two on the Red line are situated at the Tallaght Cross and the Red Cow. 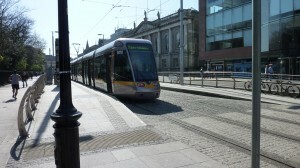 The special offer allows many weekend travellers to save a few pence as Luas customers can pay anywhere between one and five euro for parking tariffs. Ticket machines accept 10c, 20c, 50c, €1 and €2 coins as well as credit and debit cards. However, for those who fail to purchase a parking ticket during the rest of the week at a Park & Ride, clamping is in operation.